This is a Linux command line guide/cheat sheet that will help you archive or compress file. More options are also available by reading the man pages! 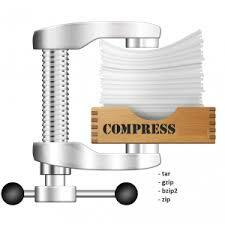 Most compression or archiving methods that you may want are already built into popular distributions (Ubuntu, Fedora, Suse, etc…), but some of them aren’t. Have more to share? I would love to hear about it in the comments section below. Also, If you're having any trouble, let me know about it in the comments. We’ll get you straightened out. This is the first tutorial feedback test.